In the coming weeks, experience a class for free online in the comfort of your home. Subscribe to be notified when the free online class comes out! You know you should move your body, but you have a tough time getting to it. Maybe you’ve been sick, immobile, or just unmotivated to start. You know the benefits of exercise, yoga, and meditation and maybe you’ve felt them, but it’s been tough getting back into the habit right? 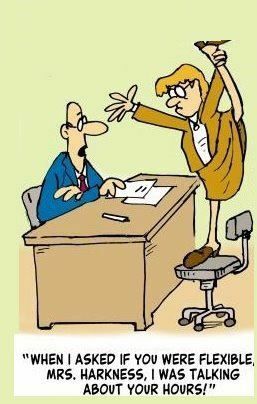 For five years, I was too sick to do yoga or any physical exercise. Once I started to get a bit better, I tried to get back into my regular kundalini yoga practice but found my body was just too weak, and I didn’t have the strength. That’s why I learned to modify the poses even further than in a regular class, as a body that is sensitive needs movement, but in a much gentler fashion. 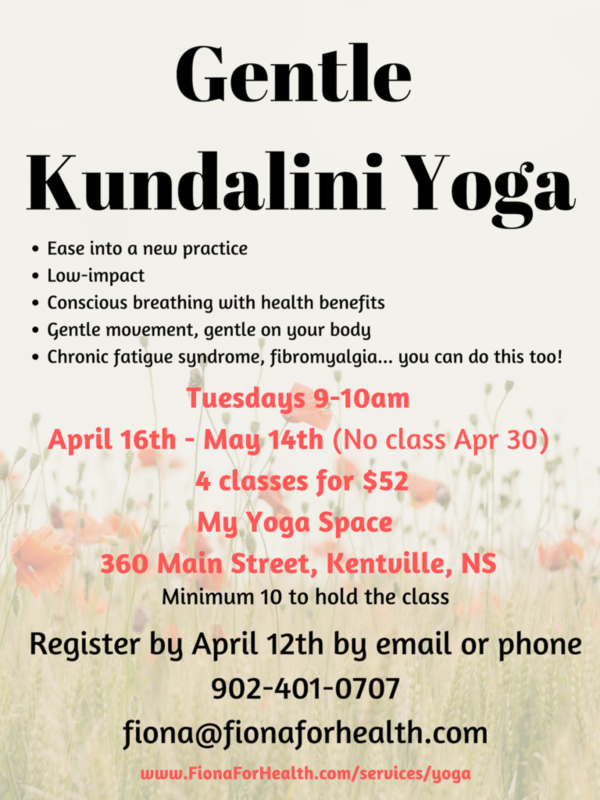 Come join me in Kentville, Nova Scotia from April 16th to May 14th for a 4-week series of Gentle Kundalini Yoga. You will practice the most gentle kriyas (sets), lots of pranayam, and learn to modify the poses beyond the normal modifications. Minimum 10 people to hold the class — tell your friends! Register here by April 12th or by emailing fiona@fionaforhealth.com or calling 902-401-0707.